Do your research. 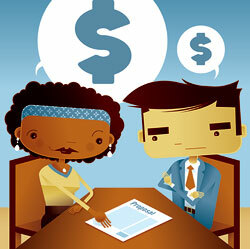 Your ability to negotiate salary depends a lot on your local job market. This mean the economy where you live and the market for your particular jobs. You can find some good information about these sorts of things on sites like: Salary.com, Jobstar.com and Payscale.com. Put a value on your services. You have spend a good amount of time selling yourself to these companies and letting them know how your particular skill-set will benefit them. What you need to do now is to put a monetary value on those skills. Think “return on investment”. How will hiring you save the company money or make the company a ton of money? Be ready to cite situations in which your services have contributed to the bottom line and bring forth those examples during your salary negotiations. Consider the perks. When salary negotiations are underway and it appears as though the company not really have anymore money to throw in the pot, consider that there are non-cash forms of compensation that can be negotiated. These are things like time off, flex time, working from home and anything else that you can think of to throw on the table. Always have a counteroffer. It’s a fact that about 50% of all jobseekers accept the first offer that’s thrown out there. 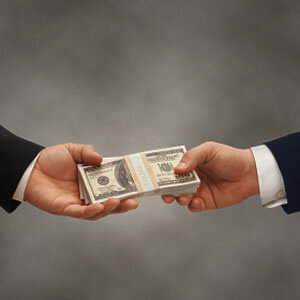 However, most employers will make offers with an allowance in case there is a counteroffer. There is no harm in asking for what you want. When you do this, be confident, not cocky, and have a prioritized summary of your offer the salary and benefits. In the end, the biggest factor in determining whether you get a higher salary for one of those addiction jobs that you interviewed for is based entirely on whether or not you ask for it. So, do your research – and ask! Most companies are expecting this and are willing to negotiate if they really want you to come to work for them. However, the vast majority of employees never even bother to try.